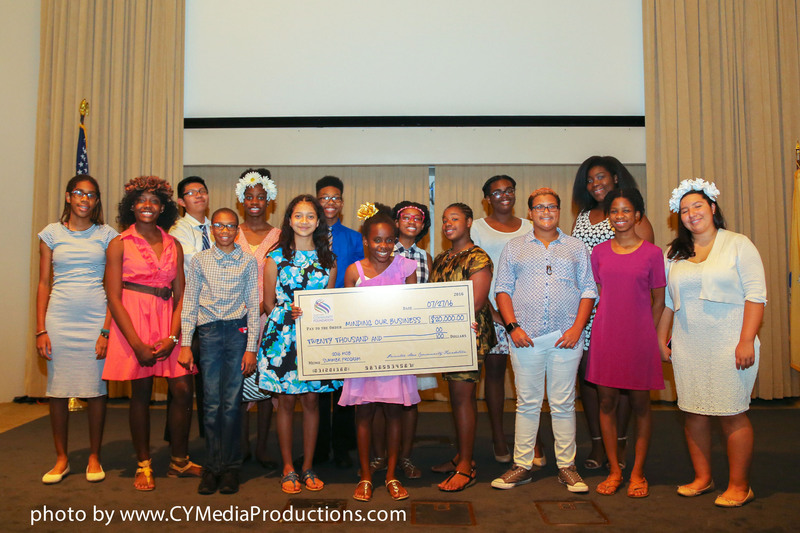 Lawrenceville, NJ – August 5, 2016 – With the help of a $20,000 grant awarded from the Princeton Area Community Foundation (PACF), Minding our Business (MOB) a Mercer County nonprofit wraps up another successful summer program with a fresh new class of young entrepreneurs. This is the 7th year that PACF has been the prime supporter of the program. The MOB Summer Program, was held on the Rider University campus, comprised of low-income middle school students who received four weeks of entrepreneurial training, motivation and mentoring, as well as reading and math assistance to help facilitate their transition from middle to high school and avoid the summer slide. At the completion of the intense training, the students presented their business plans and competed to be named a top winner with a monetary prize. The competition started with the twenty-eight students and was narrowed down to nine finalists who were all Mercer County students, ages 11 to 14, that presented to a panel of judges on July 27th at the Princeton Crowne Plaza Conference Center. The top award winner with first place was Nenna Eke of Trenton presenting her business called Carnival Craving. The second place winner was Korein Ammonds of Princeton presenting a business plan for So Fresh & Clean. The third place award went to Jocelyn Alvarez, of Princeton, with the business called Natural Lights. The fourth place winner was Yael Tapia of Trenton exhibiting The Tech Guardian. The final business plan winner with fifth place was Sora Mejias of Princeton with Sweat N’ Bath. For more information, please visit: www.www.minding-our-business.com or call Executive Director Kevin Wortham at 609-731-9311.